The below is an example of one of the letters sent out throughout the past year to all mainstream, and some not, American papers and news outlets. Let it be on record that none were interested in not only openly discussing the presidential candidate’s dangerous character defect, but even publishing such letters of concern as this one. As this election season progresses and the “puzzling” behavior of the GOP presidential candidate continues to preoccupy the media and public conversations, there is a peculiar dearth of explanations offered as to its causes. While Republican politicians opportunistically embrace their party’s leader in futile hopes that he may “pivot” toward their agenda, or at least be controlled, if not reasoned with; the pundits offer their dismayed and scathing opinions of the man, grasping for explanations of the seemingly incomprehensible. And so “How do you solve the problem like The Donald?” becomes a serious concern for exasperated journalists trying to do their job of scrutinizing presidential candidates, but also for the nation that grows increasingly frustrated and exhausted with what appears to be a sordid public spectacle of trying to nail jell-o to the wall. Meanwhile, those with expertise in just such behaviors, representative of well-defined and described psychopathology, sit back, forced into what appears to be a collusion of silence around the ‘huuuge’ elephant in the room, which is the candidate’s distinct character defect with its all too predictable manifestations and dangerous consequences. Mindful of the ethical prohibitions against diagnosing strange people from a distance, codified most notably in the so-called Goldwater Rule, several mental health experts nevertheless already offered their informed opinions about the man’s pathology; but those opinions are either “forgotten” by now in the public consciousness or diluted by subsequent well-meaning but incomplete attempts at describing and defining “what drives the man,” attempts that whitewash the seriousness of the candidate’s character problem and its consequences for the public discourse and our future. There is a fine line between observing the Goldwater Rule and the mental health professionals’ duty to warn the public about dangers posed by individuals with obvious and serious psychological problems – in Trump’s case, a conscienceless drive to power fueled by unbridled grandiosity characteristic for tyrants big and little, past and present. Finding and toeing that line is a task that looms large in the minds of psychiatrists and psychologists this election season. For what’s the use of our accumulated knowledge and experience if we cannot employ it for public good? And so, for example, continuing to educate the public about the workings and ramifications of extreme (malignant) narcissism would go a long way, for many, to illuminate the GOP candidate’s seemingly bizarre character. Once this particular malady is explained, the behaviors associated with it become comprehensible and even predictable, though most decidedly no more acceptable. As it is now, the public as well as the media are mired in confusion, chasing the candidate’s inane and ever-changing pronouncements as if they were a product of a healthy mind. They are most obviously and decidedly not; but not understanding his pathology, people search for meaning in the disordered mind’s barely coherent, self-aggrandizing, and sadistic bloviations heavily seasoned with the necessary for every narcissist sense of victimhood and desire for revenge. The world watches with horrified astonishment and concern as our nation is being hijacked by the tantrums and psychodramas of one man’s pathological psyche. There must be a way that’s both ethical and legal to educate and warn the public about the dangers inherent in the presidential candidate’s apparent character disorder. It is likely the most pressing task at this moment for both mental health professionals and the journalists who should be working on it in tandem. When historians look back at our time, they will marvel at the peculiar collusion of silence around this issue and wonder why it was not openly discussed before it was too late. Elizabeth Mika is an Educational Consultant in private practice in the Chicago area. Frederick Burkle is a Psychiatrist with the Harvard Humanitarian Initiative. HuffPo’s front page last week. Sigh. Back in the ancient past of my early high school days, we were required to take a class called Wychowanie obywatelskie. It translates roughly into Civic Education, and it was about educating our youth into civil obedience, as we learned in it about the glorious superiority of communism, the ceaseless devotion of Our Leaders to The Cause, and our responsibilities as proper members of this Greatest System of Governance on Earth. It was one of the most boring subjects imaginable, if only because everyone knew it was all based on holy — not to be questioned under any circumstances — propagandist lies, and we had to numb ourselves to get through the offensive charade of pretending to believe and absorb them. There are two forms of government: democratic and undemocratic. The undemocratic ones are fascism and communism. Democratic ones are all the rest. This was highly unexpected — these words, and from Kacper, and in those circumstances. The proper response was whatever prettified lies our textbook dictated — and that certainly was not it. Mrs. S’s face flooded with crimson. She asked Kacper to see her after class. Kacper needed some ideological straightening. What form that took, I don’t know; nothing too drastic, I’m sure today, since our required communist purity was not taken seriously by anyone, although we were expected to act otherwise, and yes, sometimes the consequences for consistently and loudly defying it were indeed severe, even deadly. So back then, we couldn’t be certain about the particulars of Kacper’s immediate fate. Those were pre-Solidarity days, when the rusting shackles of the communist propaganda gripped Poland the strongest, leaving little hope than anything would ever change, and forcing the people to resign themselves — or so it would seem — to their unalterable un-reality. Unreality, because we were always aware that this system was wrong — our lives were the proof — yet we were prohibited from voicing our thoughts and feelings. The relentless propaganda blasted from the official state-run media sources, the only ones available apart from the illegal and listened to at your own risk Radio Free Europe, told us that everything was great, the current 5-year plan proceeded according to schedule, and our economy prospered, as did our nation. This was not unlike in America, if you replace the 5-year-plan with equally believable official sloganeering about freedom and democracy. Unlike in America, however, most of the citizenry did not fall for these lies. That’s because our empty stores, the days-long food lines (all family members took shifts waiting in them to get a minimum ration of basic necessities — if one was lucky), and the lack of basic freedoms, including that to openly speak of our hardships, kept us grounded in real reality, which belied the propagandist boasts. But this real reality was unspeakable; and the obvious chasm between it and the officially approved unreal version of our lives created a sense of solidarity and shared absurdity in people. Forbidden to openly criticize it, we mocked the chasm, and our misery, and the propaganda’s lies — being able to ridicule and laugh at it all, even if only in private and while looking over our shoulders, kept us sane. Mostly. Those healthy enough to remain maladjusted to the unreality, but unable to laugh and, like everyone else, disallowed to articulate their misery, were internally imprisoned by it. There were many such internally imprisoned people under communism, but, paradoxically — or not at all — I found out that this problem was even more pervasive and insidious in America and under capitalism in general. Living economically insecure lives, in a violent, increasingly unequal society lacking basic supports and human rights like affordable health care, alienated from themselves and each other, Americans did not seem as free as they were told they were and sometimes even believed. To be truly free, as Eric Fromm wrote, we need not just freedom from, but also freedom to, and that to part does not mean hedonistic consumerism, but authentic life rooted in (higher) values, which include compassion and care for each other, and/or what some call love. Those values are in short supply in the highly competitive, atomized societies that commodify human beings and fetishize profits. The authentic, values-based positive freedom, is always the hardest, not in the least since the powers-that-be count on and enforce our conformity to the disordered, valueless status quo, which enables them to implement their dominance- and greed-based schemes unchallenged. As in the communist Poland, so in the capitalist America. Different masters and different means of enforcing this conformity, but similar outcomes — of inherent disrespect for human rights and dignity that lead to fear-infused dependency, dehumanization, much avoidable suffering, and, eventually, rebellion and a collapse of the system. Authentic freedom is contingent on basic human rights, including equality and justice — economic as well — and “the freedom to exist without having to worry about access to food, shelter, healthcare, and education,” as Belen Fernandez reminds us. Any society that does not secure these rights for its citizens cannot call itself and its people free. That a country like the US does so, and that so many of its people believe it, is a hollow but enduring, to a point, triumph of the propaganda, of the kind that the communists could only dream about. Hollow, because the price of this illusion of freedom comes in the form of lethal consequences; and to a point, because those lethal consequences eventually lead to a revolt and/or wholesale destruction and mayhem. Their (relative, and these days seriously threatened and rapidly diminishing for most) material comforts, combined with the ceaseless (and unfathomable, for the communist immigrants) consumerist propaganda, have turned Americans into unwitting participants in their own decline prepared for them by the forces of inverted totalitarianism, alive and well in America for decades and culminating now in Trump’s presidency. This is possibly the final chapter of what passes for American “democracy.” It is not clear what will come next. Dictatorships always fall, but what replaces them is not always better. The Eastern Bloc is a prime example. After the fall of communism, the former Soviet satellites were subjected to looting and pillaging known as the privatization done in the name of globalized corporatocracy. The thieves and psychopaths presiding over this shameless process called it freedom and progress, as they always do while lining their pockets. Those left out of this “freedom-making” soon began to long for the good ol’ days of communism. In Russia and the former Soviet republics, there are many people today who still celebrate Stalin’s life and rule. Speaking of thieves and psychopaths: Trump’s not even in office yet, but already letting his not-so-inner dictator loose, albeit donning his ill-fitting sheep’s clothing for some special occasions, like the bizarre and laughably manipulative meeting with the “American jewel”, The New York Times. He has already made clear that he will use the office to enrich himself and his uber-wealthy cronies, and to continue settling scores with his enemies, real and imagined, while touring the country from one rally to the next to keep a steady flow of adulation, which he needs as much as oxygen. His first stop was Indiana where he crowed about his “success” in preventing a loss of several hundred jobs at Carrier. It did not matter that this was as dubious as any other examples of “the art of the deal” from Trump’s life. The point of this sordid and repetitive spectacle is to bask in people’s adoration and at the same time to divert their attention from his government of the billionaires, by the billionaires, and for the billionaires ready to dismantle America as we know it and plunder its coffers. It was no accident that he did that the day after announcing his newest obscene pick of cronies for important administration positions, picks that clearly underscore his kleptofascist agenda. Earlier in the week, he hesitated to condemn the alt-righters who gathered to congratulate themselves on their Trumpian “awakening” and worshipfully hollered “Heil Trump!” during their conference. (All “in a spirit of irony and exuberance,”says their leader, Richard “Watch My Right Pinky!” Spencer. Those Manly Macho Men of Nazism, neo and not, are indeed ironic, but not in the way they imagine.) When Trump finally did address the issue, he pretended to be shocked, shocked, to learn that some unsavory people would invoke his name in such a way. He has brazenly and unapologetically continued to profiteer from his position as president elect and involve his children in the government matters. When confronted about the unprecedented scope of his conflicts of interests, he brushed it off with, among other blithe responses, a reminder that voters knew about it before they elected him so it does not really matter. No one of sound mind and knowledge of his character defect will take seriously his latest exclamatory tweets (or anything ever that comes out of his mouth and sounds almost normal, reasonable, or decent) about leaving his business behind to MAKE AMERICA GREAT AGAIN! He called several TV bigwigs on the carpet, to abuse and intimidate them, or, as his campaign manager Kellyanne Goebbels Conway said, in her trademark breezily dismissive tone of sweetness and light, to conduct an “excellent meeting” that was “very cordial, candid and honest”. The highlight of that “cordiality” was Trump raging over the unflattering photos that accentuate his multiple chins. The horror. No, really. One almost feels sorry for the media figures, but then one remembers that they raised Trump from obscurity, made him a national figure, and propped him every step of the way to the White House. As the old saying goes, if you lie with the narcissistic psychopaths, you wake up in front of “a f***ing firing squad“. Or sometimes don’t wake up at all. 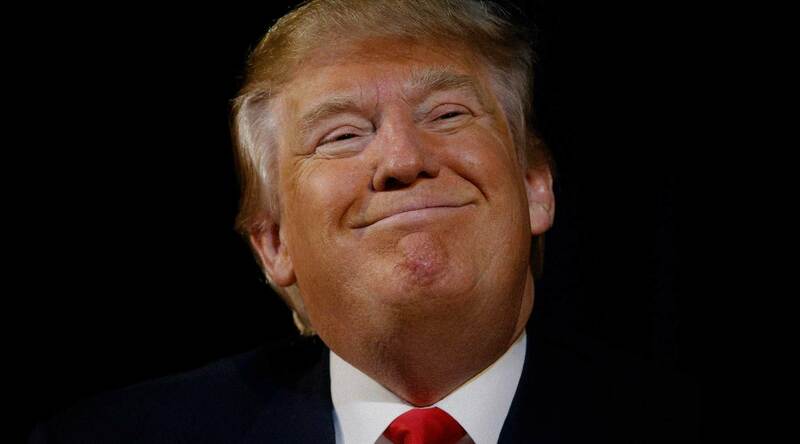 Just four days ago he proposed jail and revoking citizenship for flag burners, while a day later he was in the self-congratulatory mode over his job saving “intervention” at Carrier, a shameless propagandist move that was being reported by the media for almost a full day without critical commentary or any disclaimers noting its dubiousness. His most recent eyebrow-raising act — and the day is still young — is the phone conversation with the president of Taiwan, breaking with the long-standing American diplomatic policy not because he’s a champion of freedom and human rights, but because he has an eye on building a luxury resort there. Our media, however, reported this at face value, as if it were a normal, albeit politically questionable, behavior of a normal leader, giving his surrogates ample time to “explain” its necessity and engage in their customary But but but Clinton/Obama! deflections and obfuscations. American pundits, those with the compromised conscience (as we remember all too well from the Bush era), are already coming to conciliatory terms with this unreality, by removing any remnants of a cognitive dissonance they may have had. After Trump’s embarrassingly manipulative meeting with The NYT, David Ignatius speculated, hopefully and without any evidence, that Trump’s governing will be different from his election behavior, and gave him advice on continuing (!) wise stewardship; Tom “The Silliest Man on the Planet” Friedman unveiled his self-soothing delusions that President Trump may not be so bad, and Michael Gerson tried to convince himself and maybe even his readers that Trump’s “hypocrisy” is good for America. The horror. No, really. This is going to be our daily life from now. That’s how it happens, the inevitable full-tilt slide to unreality of life under totalitarian regimes. Little by little, one lie after another, each accepted without murmur, much less protest, by the media, which are either openly complicit in the reality-bending enterprise, or plodding along out of habit, not clear as to what is happening. To be sure, there is not much difference between those motives when it comes to the ultimate outcome. As our rights will keep eroding, along with our livelihood and prospects for the future, we will be treated to daily doses of unreality meant to convince us that up is down, black is white, and Our Great Leader Trump is fervently working for The Cause, which is making America grate again. People with Trump’s character defect never do anything good or even decent. This is not a demonization, this is a fact, difficult as it may be to understand and accept for some. Bereft of a conscience, these individuals are incapable of recognizing higher values and have no internal correspondence for positive affective states associated with them. If anything, they look with contempt upon values and people who try to live their lives accordingly. In their eyes, those people are “suckers” to be used and abused. If something that a man like Trump does appears good or decent, you can be certain that it is either an accident — which he will try to undo ASAP — or part of a larger, nefarious agenda meant to benefit him and harm others. If there is one thing everyone, and especially the members of our media, should know in these times of Trumpism, it is this. It is encouraging to see that some are beginning to get it. Among other notable exceptions to the disturbing but predictable trend that normalizes the deeply pathological and utterly unacceptable are the writings of Jennifer Rubin of The Washington Post and Charles Blow of The New York Times. And of course those of independent and/or “leftist” journalists. [Pathocracy is] a system of government created by a small pathological minority that takes control over a society of normal people (…) A pathocracy can take many forms and can insinuate itself covertly into any seemingly just system or ideology. As such it can masquerade under the guise of a democracy or theocracy as well as more openly oppressive regimes. Pathocracy is a structure, as it were, that can be infused with different anti-democratic and anti-human ideologies, one of which is kleptofascism a la Trump, already in full swing, even though the man has not yet been installed in the White House. (…) the malign influence of a minority of people with dangerous personality disorders is causing the rest of us to believe in a distorted view of our own nature. We are not an irredeemably violent and greedy species. The majority of people the world over crave peace, justice and freedom from oppression and discrimination. It is only by reducing the influence of the minority with these disorders that we will begin to see this truth more clearly. Trump’s choices for his cabinet positions confirm what was predicted — that, as all narcissistic psychopaths in power, he would surround himself with people who share his character defect, wealthy men and a few women with “sharp elbows,” as David Brooks euphemistically calls their conscienceless naked ambition and aggression, and a “Let them eat cake” stance toward the less fortunate. Every time Trump nominates a new member of his cabinet, an angel loses its wings. Losses are coming at us in these areas: freedom of speech and the press; women’s reproductive rights; affordable healthcare; security for immigrants and Muslims; racial and LGBTQ civil rights; environmental protection; scientific research and education; international cooperation on limiting climate change; international cooperation on anything; any restraints on who may possess firearms; restraint on the upper-class wealth accumulation that’s gutting our middle class; limits on corporate influence over our laws. That’s the opening volley. A lot is at stake, obviously, which brings me back, in a roundabout way, to Kacper and his unexpected statement, etched in my memory the way emotionally charged experiences always register, preserving their vividness and importance throughout the years. Kacper did not realize it, but his matter-of-fact defiance woke us up and made us see that if we could openly talk about our shared unreality, not all was lost and perhaps there was hope. And it showed us that what we did and said mattered — we mattered. His courage broke through our complacent stupor, ingrained in us by the totalitarian unreality of our lives. We are going to need that kind of courage, and the hope that comes with it, to counteract the forces of the post-factual pathocracy that will steadily engulf this country in the coming years. As truth will be more ferociously than ever erased by the powers-that-be, we need to equally strongly defend it by speaking out. We must oppose and resist the encroachment of Trumpian kleptofascism and its normalization that’s already taking place, by, among other things, rejecting the journalists and politicians who aid and abet this process. We need to protest it, individually and together, with our values in mind. It is the least we can, must do.